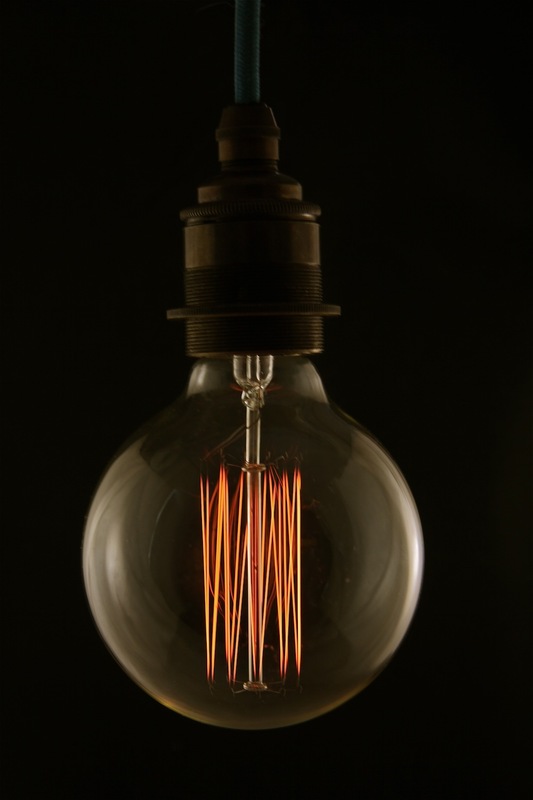 Empirical Style » Empirical Syle » Light Bulbs » (i) Edison Bulb, airship style, screw in pk 1. (i) Edison Bulb, airship style, screw in pk 1. Welcome to the all ne edison airship light bulb. Based on the edison bulbs of the 30's and replicating the airship looks of that era, a magnificent bulb that looks and feels amazing. Beware of cheap imitations!!! 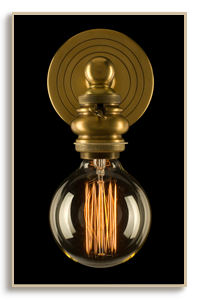 These bulbs last for 5000 hours, not 1000 hours like other bulbs that look the same do!These Reproduction Squirrel cage filament Thomas Edison airship light bulbs are here and they are COOL!!! 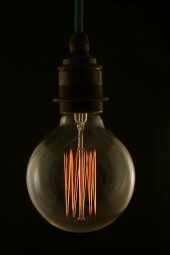 Based on the old airships of the past, the bulb has a strong round style with a squirrel cage interior. Ideal for cafes, restaurants, hotels, period homes , theatres and your place they look and emanate light that is warm and inviting!These are the extra round bulbs and have a slightly different shape to the 4 other vintage antique styles we offer. We were the first distributor for these light bulbs in Australia and we're still the best, and are offering them to you directly! These bulbs are 240 volt and are only available in the ' screw in ' style so they fit any australian socket right away! - no converting or useing a transformer for american style bulbs. The fitting is NOT included....just the light bulb.But we do sell fittings on our website empiricalstyle. Available in 30 watts only........ they don't need a dimmer but if you do have one they will blow your mind as you can take the glow right down to a very fine orange !! !